What’s the very best part of Christmas? Maybe it’s the amazing spread of delicious food, or the promise of presents waiting under the tree. Or maybe your favorite part is the dusting of fresh-fallen snow over everything… and the warm, cozy fire waiting to help thaw you out inside. Undoubtedly, the true meaning of Christmas — or any winter holiday — is all about the people you gather around to spend it with. But it’s also undeniable that a little bit of bling can go a long way toward making the season bright. That’s right, we’re talking about Christmas lights! Those bedazzlements are a huge part of what makes this the most wonderful time of the year. Everywhere you look, sparkling Christmas bulbs twinkle and shimmer, and make everything they touch seem just a little bit more magical. While almost every city in the country bedecks itself in holiday lights for the Christmas season, some spots go over the top with their wintery festivities. So in this post, we’ll name a few of the best places to see Christmas lights — and give you the road trip tips you need to make your adventure a safe, happy, and cozy one. 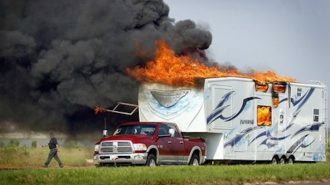 Dashing through the snow in an RV might not have quite the same ring as a one-horse open sleigh. But it’ll definitely get you where you’re going more quickly — and more comfortably, to boot! 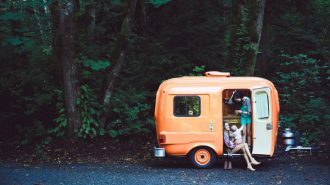 A holiday road trip is a common family tradition, whether you’re looking to explore a new destination or simply to reunite with distant relatives and friends. And when you’re road tripping in your very own house on wheels, the whole experience is upgraded. 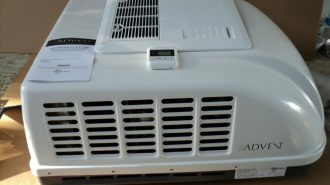 You won’t have to worry about packing and unpacking your suitcase into a series of bland hotel rooms — or booking those overpriced hotel rooms in the first place, come to think of it. You’ll have enough room to be able to bring along all your favorite clothing, adventure gear, and — importantly, this time of year — decorations and comfy home touches. Just pack up the rig, set it, and forget it… and get behind the wheel and on with your big adventure. 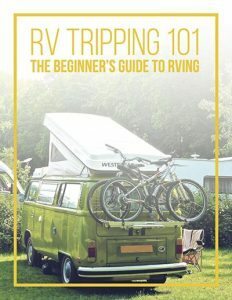 Of course, if you already have an RV of your own, you might consider the other side of the picture: renting out your rig on RVshare to give adventurers like you access to this uniquely awesome travel lifestyle. 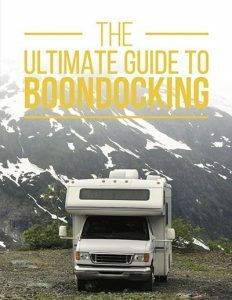 Along with making new friends and augmenting the camping community, you’ll also put some extra money in your pocket, which never hurts. 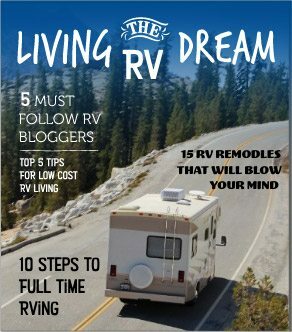 In fact, some RVshare owners earn up to $40,000 per year! Camping for the holidays can be one of the best Christmas experiences out there, especially when you’re doing it with your very favorite people. 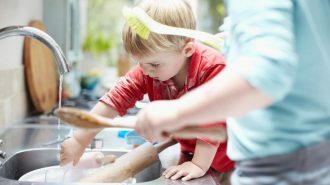 But there are a few preparations you’ll want to make ahead of time in order to have the best vacation possible — especially if you’re used to celebrating the season at home. Before we dive into the best places to see amazing Christmas lights, here are some simple tips and tricks to help you get ready to totally own this whole holiday camping thing. 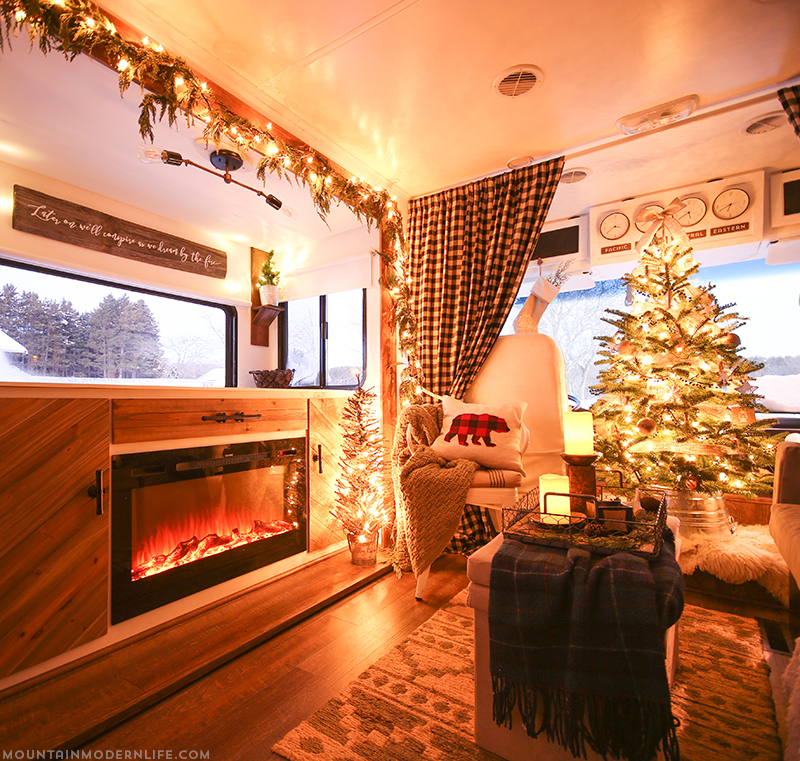 Just because you’re in a travel trailer or motorhome doesn’t mean you can’t get into the Christmas spirit — yes, including all the cozy touches that make it feel so warm and welcoming when you’re at home. 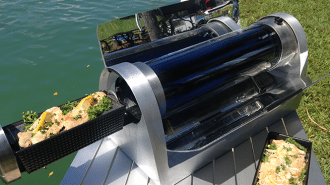 In fact — and you might be skeptical of us, here — you can even cook that amazing Christmas feast you’re so famous for, regardless of the size of your camper kitchen! 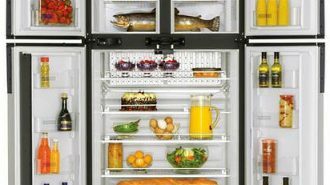 And finding the space you need to make a big meal in a small kitchen is all about getting the best accessories. Click here to see some of our suggestions. Although food’s a big part of the holiday, don’t forget about the decorations. 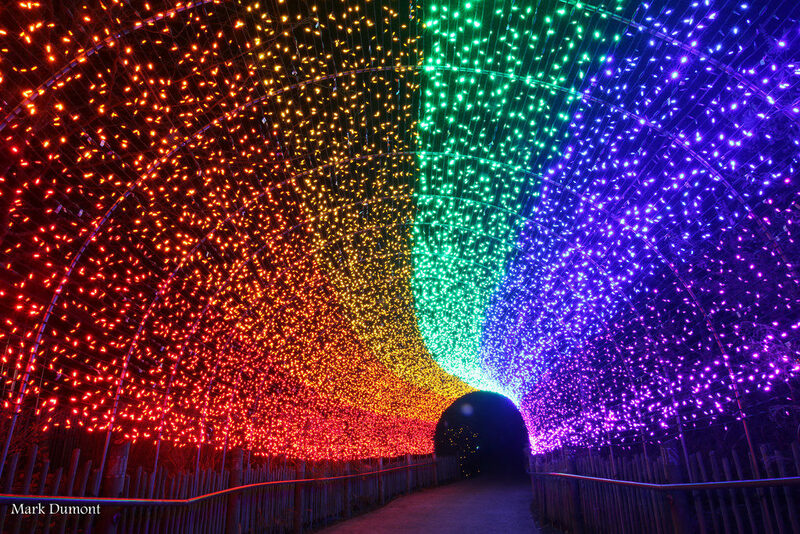 After all, you’re road tripping to see some of the best lights shows in the nation, right? Might as well make sure your vehicle fits in! 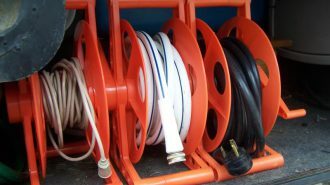 Luckily, RVs have ample space to get creative and festive, from simple strands of LED Christmas lights to tabletop Christmas trees. 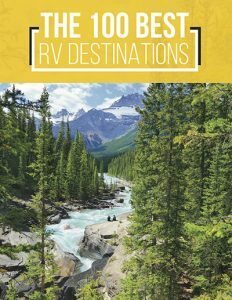 For even more information on how to celebrate the holidays from the comfort of a travel trailer or motorhome, check out our ultimate holiday RVing guide. We’ve also written about fun holiday crafts to keep the kids busy if foul weather has you cooped up inside all day, as well as common winter RVing problems and how to troubleshoot them. We think cold-weather camping is some of the best camping around. No matter where you go, it’s bound to be less crowded, and there are all kinds of fun winter activities you just can’t tackle without that dusting of fresh-fallen snow. 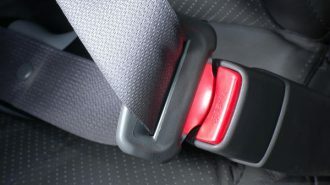 But that doesn’t mean you don’t have to make some preparations in order to enjoy the season safely! 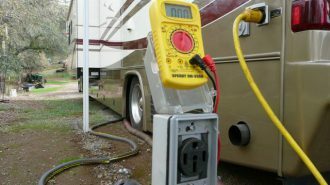 Even all-weather RVs don’t have the same kind of insulation you’re used to in a traditional house, so you’ll want to take extra steps to make sure you stay warm (and your RV’s sensitive systems stay damage-free and safe). 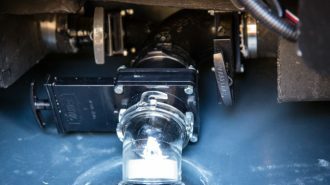 First of all, you’ll need to winterize your RV by introducing RV antifreeze into your plumbing system. 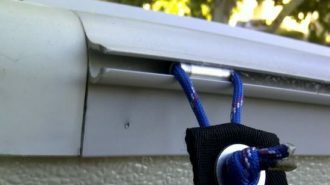 You can either do it yourself or seek professional help, but it’s really not that difficult a task. 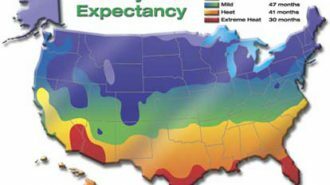 Read more about how to winterize your RV here. Finally, be sure to keep lots of warm, cozy blankets on board, and be sure your wardrobe is filled with moisture-wicking layers, sweaters, snow-proof boots and wind-proof jackets. Winter fashion might not be the most flattering or fun… but who wants to visit a brand-new destination only to find themselves too cold to actually explore it? When it comes to celebrating the season, not all campgrounds are created equally. And finding one that goes all out can go a long way toward making your holiday-away-from-home feel bright and cheerful. Jellystone Parks are a franchise of family-owned campgrounds who really pull out the stops when it comes to holiday celebrations. They host fun Christmas activities suitable for campers of all ages, complete with thematic events and outdoor Christmas decorations. Some Jellystone Parks even hold their very own Christmas lights party, so you don’t even have to venture off-campus to find some shine! To find a Jellystone Park near your next destination to call your Christmas campground, click here. Psst — looking for a little extra dose of holiday cheer, no matter where you’re camping? You can save 50% on your campground accommodation fees every single time you stay with a Passport America membership. 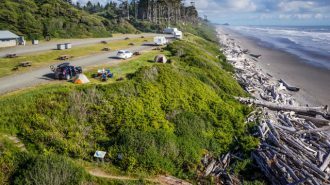 It costs less than $50 for a full year, and since many high-traffic campgrounds charge as much as $75 per night or more, it’s easy to see that this deal pays for itself in a matter of a single weekend! Click here to learn more about Passport America and file for your membership today. Alright, enough about how to go about this whole Christmas camping thing. Let’s get to the scenic road trips! While Christmas light displays are traditional in every corner of the U.S., there are some shows that are worth going out of your way for. We’ve listed some of our favorites below. Ready to take in some cool Christmas lights in some of the most exciting American destinations? Here’s where to set your RV GPS this winter. 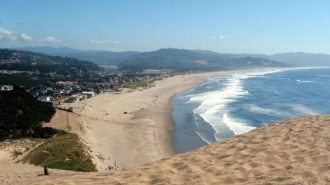 With all sorts of outdoorsy opportunities paired up with one of the funkiest, artsiest, beer-drinkingest cities in America, what’s not to love? And that fond feeling definitely extends to the holiday season. It’s hard not to find an amazing Christmas light display if you’re spending the holidays in Asheville; the city bedecks its downtown in decorations and also hosts a variety of other private traditions. For instance, the famous Biltmore Estate offers an evening time candlelight tour, during which you’ll see not one, but more than 50 Christmas trees. 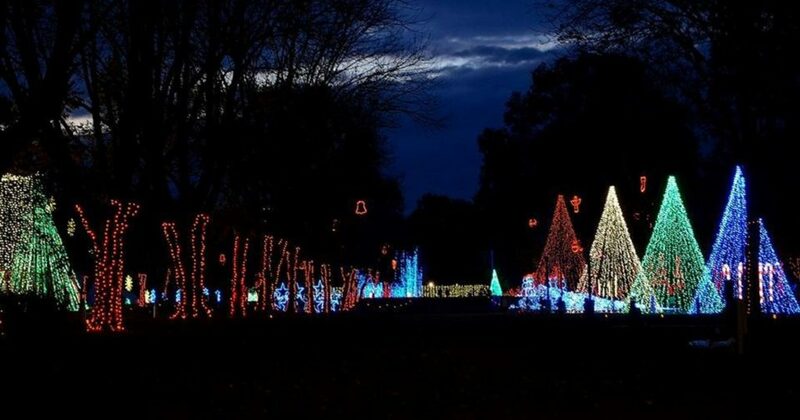 The North Carolina Arboretum gets in on the fun, too, adding over 500,000 twinkling lights to its already-stunning landscape. We get it: the desert might not be the first thing you think of when you’re looking for a winter wonderland. 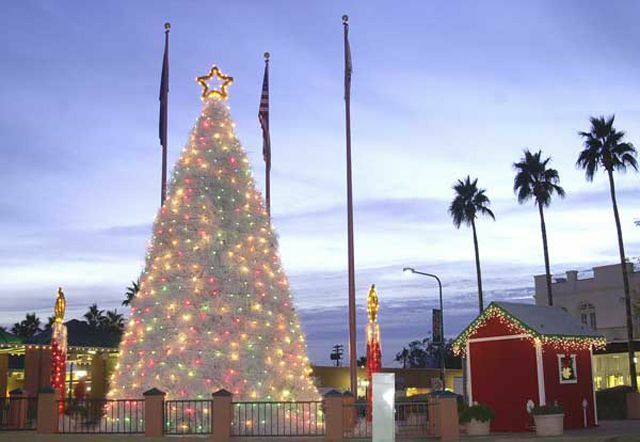 But this Phoenix suburb does its fair share of work to make the season extra-special. It’s home to the famous Tumbleweed Tree, a tradition that’s been in place for well over 50 years now. Along with watching the Christmas tree lights in wonder, visitors can also enjoy both a lighting ceremony and a cheerful Christmas parade. Once you’re done with the display, head out to the Sonoran Desert National Monument or Tonto National Forest to see how Jack Frost treats southern Arizona. It’s definitely different than the winter wonderland you’re used to… but no less full of wonder! Click here to see RVshare rentals near Chandler, Arizona. The Denver Botanic Gardens’ Blossoms of Light event is like no other in the nation. It transforms an already-beloved tourist destination into a Technicolor dreamscape — and many parts of the light display are interactive. Enjoy the dazzle through a pair of HoloSpex glasses, available onsite for purchase, or simply meander around clutching a cup of delicious cider or hot cocoa. And once you’re through with the display, you’ll find yourself in Denver — aka the winter sports capital of the nation! Take to those rocky slopes for skiing, snowboarding, and other adventures, or just sit back in your rig and watch as winter’s touch makes the whole landscape glow. Looking for a coastal Christmas adventure? Head to this southern gem for a warm-weather getaway that’ll leave you totally dazzled — and not just because the daytime temperatures hover around 50 degrees, even in December. 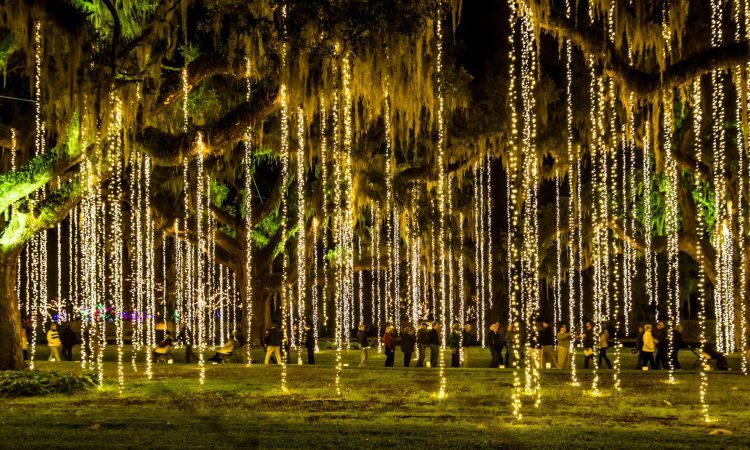 Brookgreen Gardens hosts the annual Nights of a Thousand Candles event, which is even more amazing than it sounds. You’ll see the grounds come to life by the light of over 4,500 hand-lit candles, not to mention hundreds of electric Christmas lights. Meander the gardens with a cup of delicious hot cider in hand, and then head off-site to enjoy the rest of what Myrtle Beach has to offer. It may be too cold for a dip in the ocean, but the beach is still beautiful to look at — and the seafood is amazing all year round! 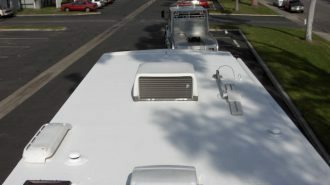 Click here to see RVshare rentals near Myrtle Beach, South Carolina. Arguably the best Christmas lights display in the country, it’s hard to beat a winter trip to New York City. For one thing, there’s that famous tree at Rockefeller Center, whose dazzling lights you can spend all afternoon ice skating under. 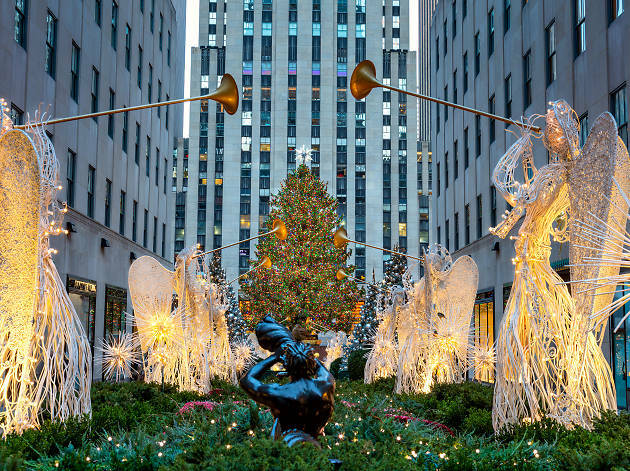 Then there’s the amazing Radio City Rockettes and their annual holiday Christmas show, not to mention all the other amazing holiday fun you can find yourself having at the Big Apple. 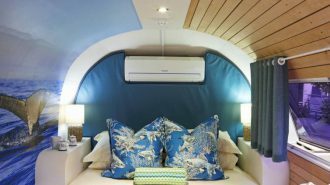 And while it may seem like camping in such a densely urban environment is impossible, there are actually some really convenient options for RVers, like Liberty Harbor RV Park, which is just across the harbor in Jersey City. You’ll be able to get to Manhattan within minutes via train, light rail, or ferry… and you’ll have a (relatively) chill place to return once you’ve had your fill of urban adventure. There’s way more than just lights to Silver Dollar City’s An Old Time Christmas event… and that’s really saying something, since there are more than 6.5 million light bulbs involved! 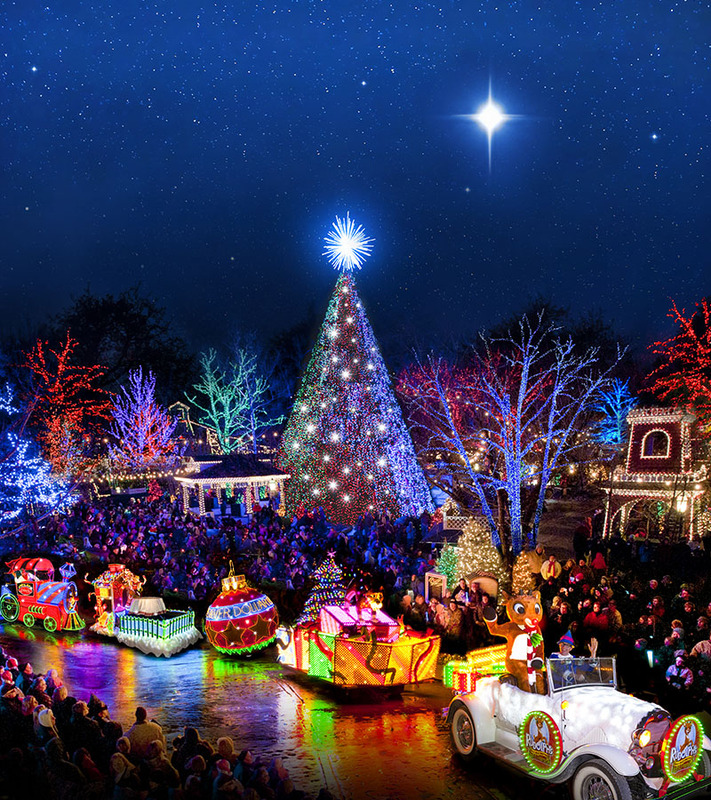 When you visit the Ozarks’ favorite theme park during the winter time, you’ll be treated not only to a dazzling display of lights, but also to a nightly parade, live family entertainment, and delicious homestyle holiday feasts. And, of course, you’ll still be able to enjoy all of the other fun the park has to offer, from rides and roller coasters to 19th century crafts, goodies, and more. Florida’s most famous theme park doesn’t hold any punches when it comes to holiday celebrations. In fact, many campers count a Disney holiday among their best Christmas vacations yet. 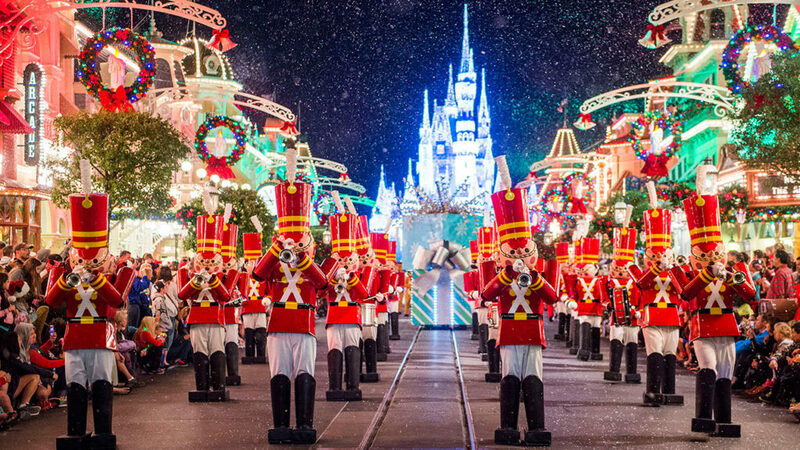 At Disney, the winter season means more than just an epic display of Christmas lights — though you can certainly count on that, too. Visitors are also invited to Mickey’s Very Merry Christmas Party, where they’ll meet and greet their favorite characters, and the Epcot International Festival of the Holidays, where you can learn more about how the winter season is celebrated around the world. Disney’s Hollywood Studios ups the ante (and brings a taste of the north down south) with its flurry of falling snow and slew of winter decor. And all the normal rides and attractions are still open — so you can count on a totally epic, adventure-filled holiday trip. 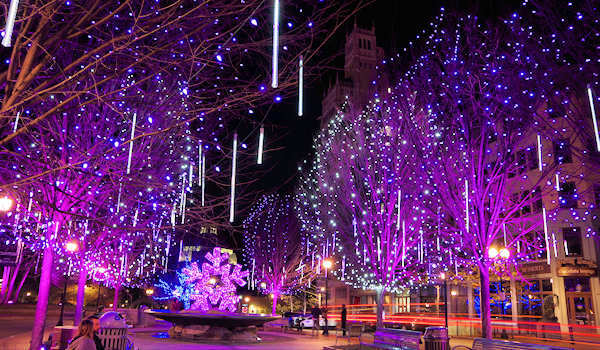 Here are a few more amazing holiday destinations if you’re looking for epic outdoor Christmas lights displays. While the Cincinnati Zoo already has a place on many travelers’ bucket lists (and for good reason), if you can swing a visit during the winter time, you’ll be rewarded. 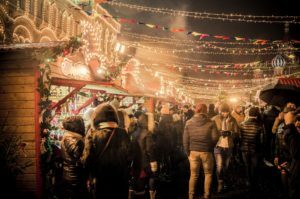 Its PNC Festival of Lights has been a tradition for over 30 years now, and includes a mystifying display of over 3 million multicolored LED lights as well as a puppet show, train ride, and lots of other fun holiday diversions. Click here to see RVshare rentals near Cincinnati, Ohio. It may seem like a mismatch along the banks of the warm Chattahoochee, but if you know where to look, Georgia’s home to a village that looks plucked directly from the Alpine heights. And come Christmas time, the town celebrates its appearance by doubling down on lights, decorations, and tons of fun holiday to-dos. 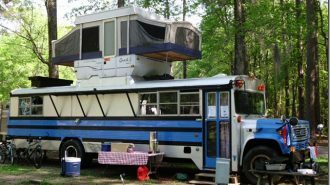 Click here to see RVshare rentals near Helen, Georgia. Everything is bigger — and arguably better — in the west. And Christmas displays are no exception. 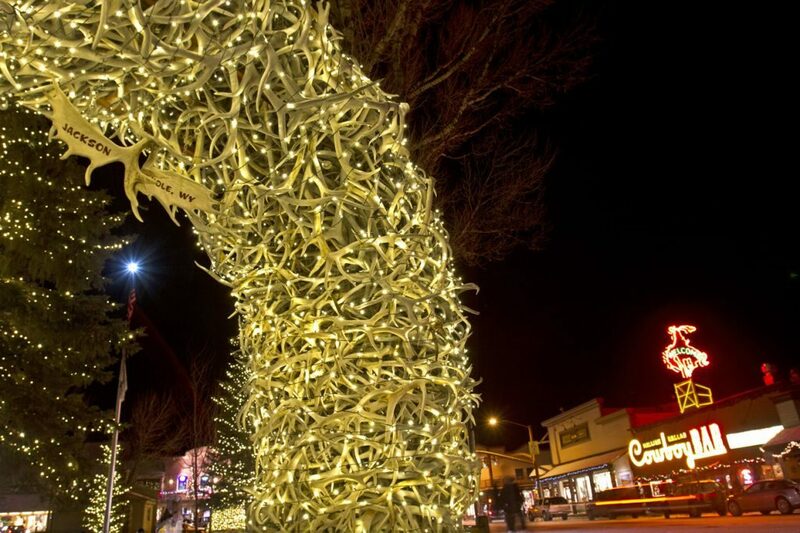 This famous gateway town to the epic outdoor adventure zone that is the Grand Tetons puts on a display of Christmas lights worthy of its life-changing views, wrapping every inch of its already-beautiful town square in thematic lights and decorations. If you stay until New Year’s Eve, you’ll get to see a singular spectacle: a string of ski instructors making their way down the mountain from the town’s two ski resorts, by torchlight. Click here to see RVshare rentals near Jackson, Wyoming. This town’s name might sound familiar if you’ve been reading a lot of Christmas travel lists — and it’s no surprise. 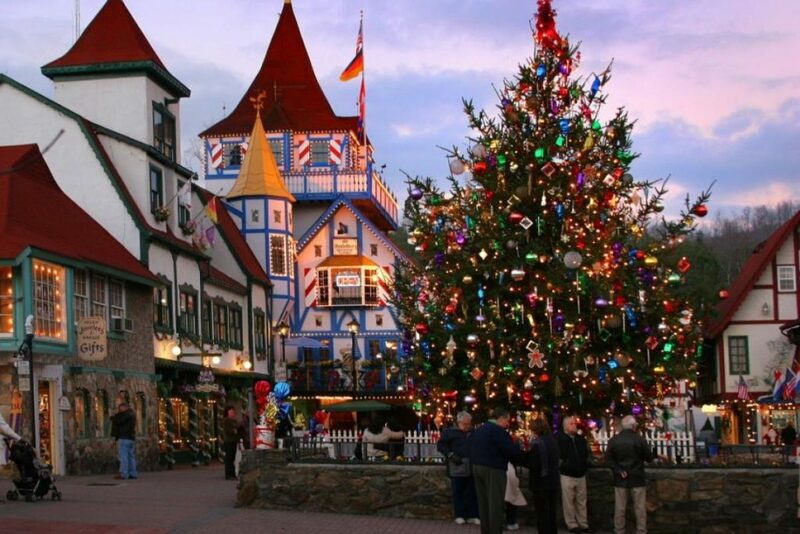 Given that it’s built to resemble a Bavarian ski village, it gives off a holiday vibe all year round… but especially during the actual holiday season, when it’s dressed to the nines in Christmas lights! Both homes and businesses get in on the action, presenting visitors with over 21 miles of bedazzled city streets to meander. You’ll also be able to attend handbell concerts, listen to carolers, and check a whole slew of to-buys off your list at its Christkindlmarkt. An annual Christmas tradition you can feel good about, Omaha’s Holiday Lights Festival is more than just a dazzling display of decorations. It’s also host to the Shine the Light on Hunger campaign, which collects both food and monetary donations to feed local hungry and homeless. In 2017, they $472,000 and collected more than 56,000 pounds of food. Talk about a win-win situation! 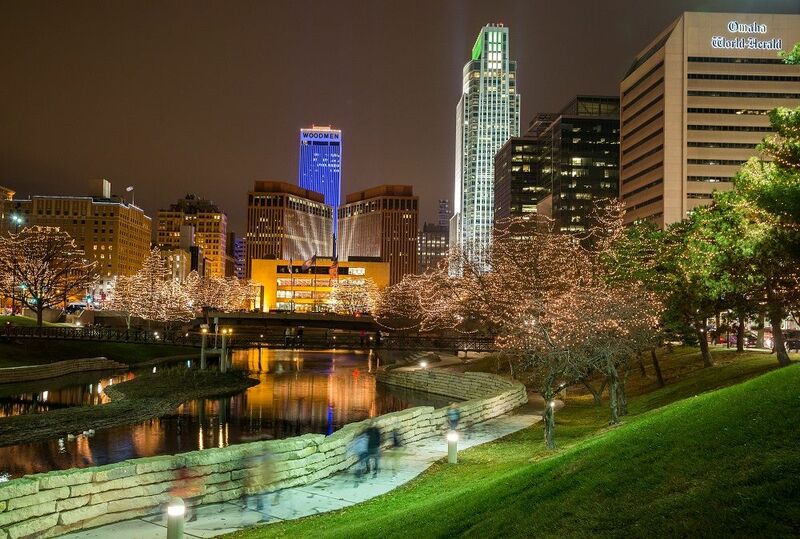 After you drop off your canned goods, venture into downtown Omaha to enjoy the show, which features more than 40 blocks of world-class light displays along with an ice skating rink, holiday concerts, and more. Click here to see RVshare rentals near Omaha, Nebraska. Already a beautiful town by any stretch, winter transforms Saint Augustine, Florida — the nation’s oldest city — into a spectacle of lights. The stunning Spanish architecture gets a touch of Christmas whimsy from over 3 million individual bulbs, which you can enjoy on foot, by tourist trolley, or by horse-drawn carriage (our personal favorite). The event’s called Nights of Lights, and it draws visitors from across the country, and even internationally. Along with this award-winning light show, Saint Augustine has a whole lot to offer curious visitors any time of year, including a kid-friendly Pirate Museum, the historic Castillo de San Marcos (which is managed by the national park service, so don’t forget your passport), and, of course, the Fountain of Youth — yes, that one. Top off a day of exploring with a date night excursion to one of the city’s many fine restaurants. Local favorites include The Ice Plant, Michael’s Tasting Room, and The Floridian. But our nation’s capital is even more beautiful during Christmas time, when strands of lights illuminate everything from the sidewalks to the White House. 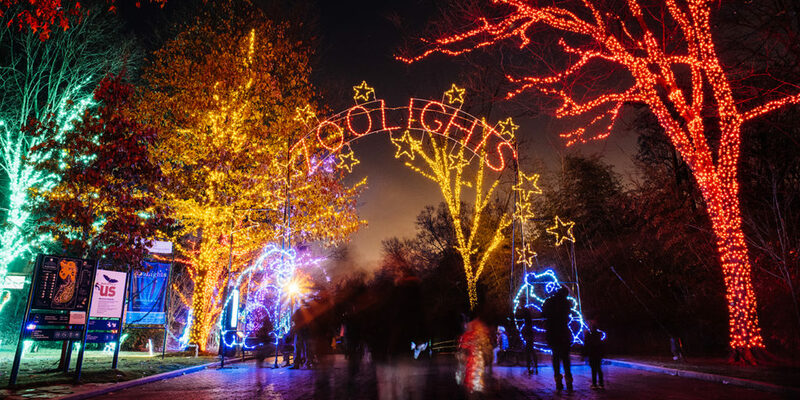 One particular Washington spectacle to add to your list: ZooLights, put on annually by the Smithsonian’s National Zoo and Conservation Biology Institute. Along with a dazzling array of colored lights, you’ll also find live entertainment, tasty winter treats, and lots of opportunities to check folks off that holiday shopping list of yours. And it’s free! 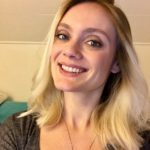 Where are the Best Christmas Lights Around Me? Merry Christmas and happy holidays, campers!